And maybe a tad of Galveston as well. First, I must share a little back story before I share my B grade monster movie. A few weeks ago I took a knitting class and, as is my OCD/ADHD craft pattern, became immediately hooked by this new craft. I practiced for a day or so, searched for easy patterns and then made a beeline back to Jo-Ann to buy yarn and wider knitting needles. Within a few hours I whipped out an easy scarf with yarn and fun fur that Annelise quickly declared should be hers. 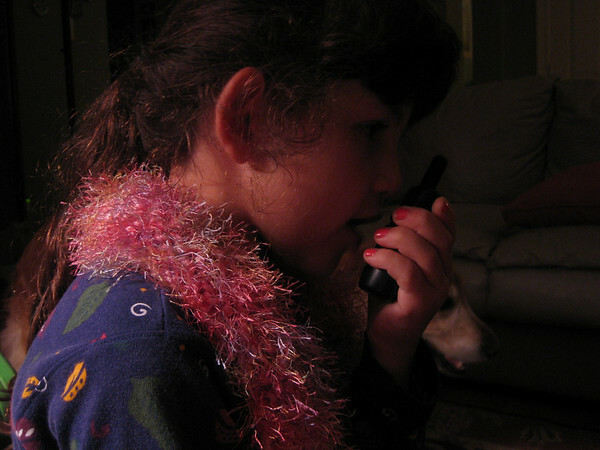 She wore it while giving important walkie-talkie instructions to her imaginary police partner. 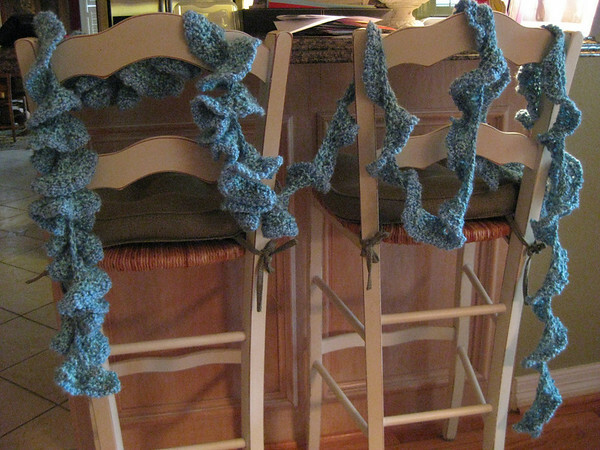 I then made another yarn and fun fur scarf for myself. You can't really see it in this picture, but I tried to follow the instructions to ruffle the ends, which came out like a deformed tail. I was so pleased. Then I discovered Ravelry, which is like a knitter's paradise. 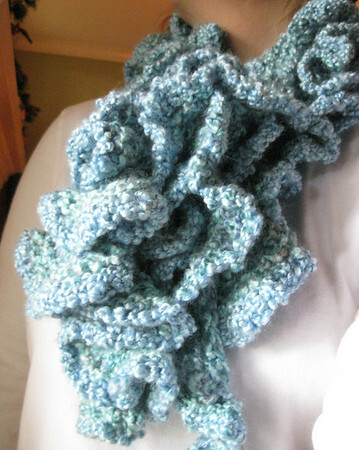 I decided I had to try to knit a ruffle scarf. 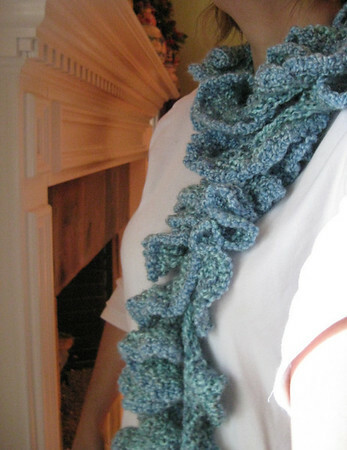 There are tons of ruffle scarf patterns, many of them free and even easy. 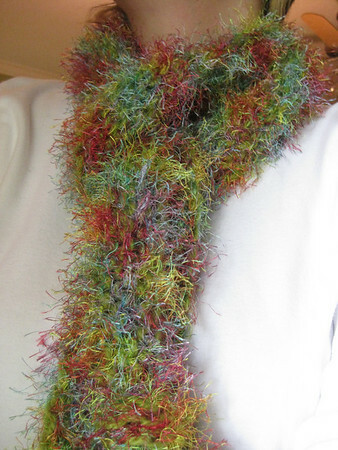 I chose one called Potato Chip Ruffle Scarf because 1.) it looked easy and b.) who doesn't like potato chips? I knitted and I knitted and I knitted. Then I cracked my knuckles and I knitted some more. When oh when would I be freed from my chains? When would I be able to see the fruit of my labor? Finally, after 3,478 stitches my work was done. By this time it was Sunday night. Five days worth of knitting (not constant mind you, but still). When I secured the last stitch I let out a sigh of relief and called Scott to come see. I stood up and the ends of the scarf began to pool around my ankles. Um...it seemed to be unusually long. Freakishly long. And here it is all gathered up around my neck like a furry ruffled animal. Or something. When I started I had no idea the result would be this gargantuan. Seriously, who thought this length was necessary? We need to have a talk. On the plus side, it was easy to knit (though time consuming) and the ruffles add a flirty kick. But again, I ask you, what on earth am I going to do with a scarf this long? Mike would have had a great time laughing if I had shown him a scarf I made that went down to my ankles. I'm still impressed, though - it's beautiful AND it's a finished project! Yeah! I can't say the same about my knitting phase. You seemed to have picked up knitting rather quickly, I'm impressed. 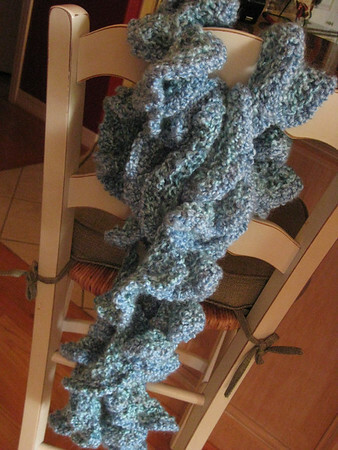 The length of your new scarf is comical, but the ruffles are oh so cute. Oh, but it's so cute on you -- long or not. Great job! I love Ravelry! 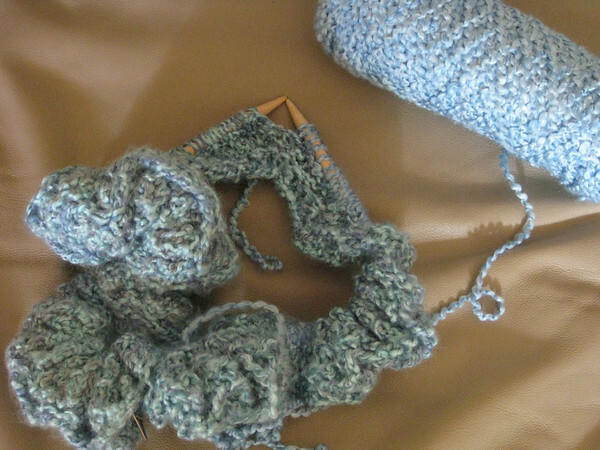 I spend way too much time there -- time that could be spent actually knitting, but it's so much fun to look at everything. oh my gosh, Holly. That last picture totally cracked me up, which I desperately needed. Thank you. :) Knit ON! I know, I didn't know whether to laugh or cry when I saw how long it actually was. I chose to make the best of it and laugh. It's enough for two, possibly three scarves. Ohn and thanks Kelly! I wore it yesterday and was paranoid people were staring at it with a scared look on their faces. i have made some abnormally large hats this year. i *finally* threw a tape measure into my knitting bag.